Working with an experienced car accident attorney after a crash can provide you with a sense of comfort and relief as you navigate the claims process. Not only does an attorney provide you with legal support, but a lawyer also serves as a source of information and as an advocate when you need it most. After a crash in Flint, compensation for injuries and property damage is based on a no-fault car insurance system. This means that when you are involved in a crash, your own insurance company will pay for your medical expenses as well as your lost wages, regardless of who caused the crash. Under the no fault system, drivers exchange their right to file a lawsuit after a crash in return for coverage despite fault, which means that after a crash, you are barred from filing a lawsuit for compensation. 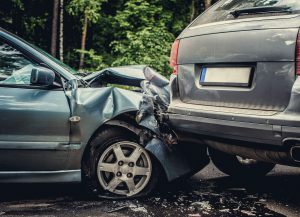 While the no fault car insurance system prevents drivers from pursuing litigation after a crash, there is an exception to this rule: If the car accident victim suffers serious injuries or disfigurement (or death), then they may pursue a tort action. A serious injury under Michigan law is defined as one in which an important bodily function is seriously impaired, and this impairment affects the victim’s ability to lead a normal life. If serious injuries are sustained and a tort action is pursued, then the plaintiff will need to prove fault of the liable party in order to recover compensation. Depending upon the specifics of the case, the liable party may be another driver, a trucking company, a vehicle manufacturer, or another related party. Taking your case to court. Our Flint car accident attorneys do not back down. If you are involved in a crash and want to work with a lawyer you can trust, contact us today. Our lawyers are here to advocate for you. We know how challenging being involved in a car accident can be, and understand what you’re experiencing. We do everything we can to maximize your compensation amount and help you get the financial compensation you deserve. To schedule a free consultation with our experienced legal team today, call us now at 810-767-5420, or fill out the online form on our website.